Best Programmer For 6.2 Denali Reviews: Top-6 in April 2019! Programmers for 6.2 Denali – Buyer’s Guide! Programmers are neat little devices that you connect to your vehicles ODBII port and start to play around with the electronic configurations. In the hands of a professional, you will coax double-figure HP and torque, in the hands of an amateur you will end up with a smoking pile of scrap. In this article, I review the five best programmers that were designed to deliver optimized performance to the famous GM Denali engines. The 6.2L V8 Vortec L94 was GM engine designed for use in luxury SUVs; these include the 2006-2014 GMT900-based Cadillac Escalade/Escalade ESV and GMC Yukon Denali/Yukon XL Denali. The Denali displaces 6.2 liters in a V8 configuration, and the L94 was part of Generation IV Small Block engine Vortec family. This model was eventually replaced by the Generation V Small Block Ecotec3 engine family, and the Denali L94 was replaced by the new 6.2-liter EcoTec3 L86. 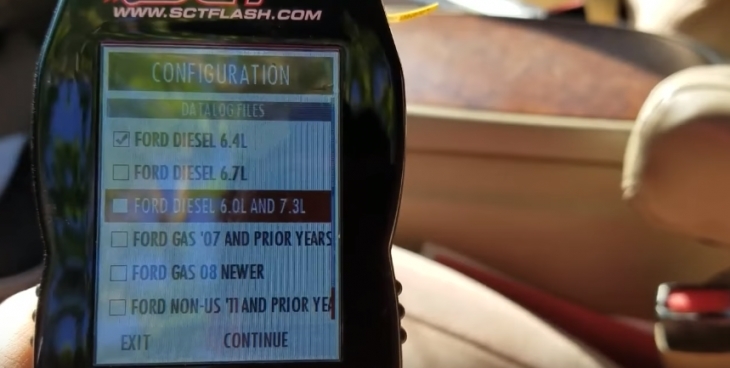 Now let’s look at the five best programmers for 6.2 Denali motors. 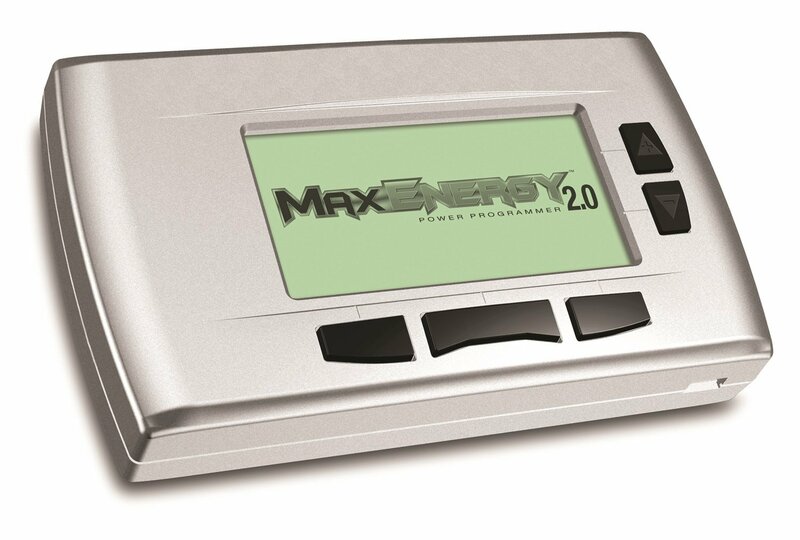 The Hypertech 32501 Max Energy Power Programmer is a real orange squeezer, it squeezes every bit of performance energy you can from every possible source from your vehicles components. 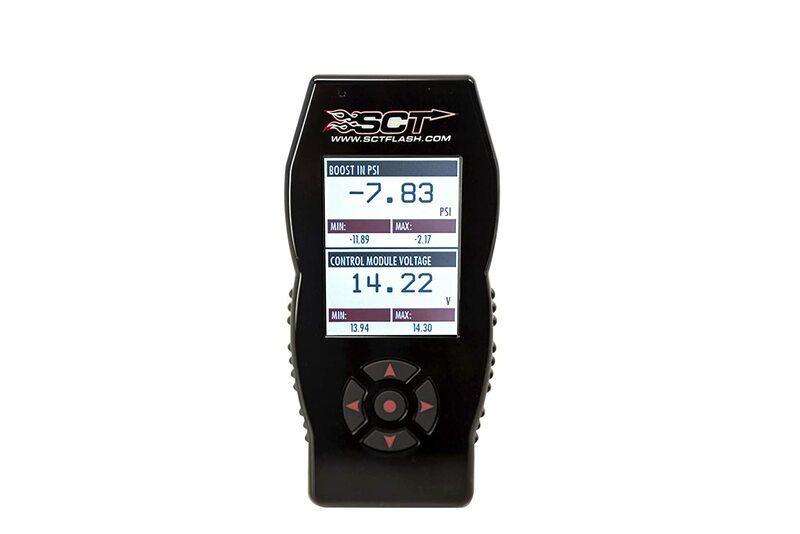 Let’s start with the Speedometer Calibrator; this device will re-program for correct speedometer and odometer readings, as well as correct part-throttle shifting in vehicles where wheels and tires have been changed. 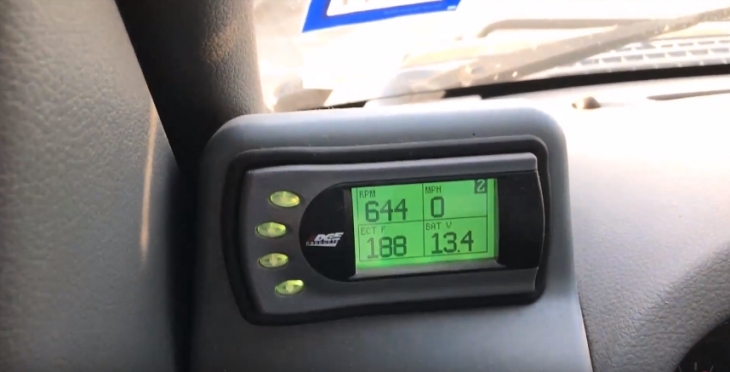 You get the Top-Speed Limiter that allows you to raise or lower the vehicle’s top-speed limiter to match the speed rating of the newly installed tires. The Automatic Transmission Adjustments include Shift Firmness that maximizes driving and towing performance. This device reduces clutch slippage and maintains transmission oil temperatures. Just don’t use this feature if you have installed an aftermarket shift kit. The Shift Points can be lowered or raised 100 RPM increments to deliver maximum performance, quicker acceleration, and better 1/4-mile times. The Fuel Management Systems “V4/V8 mode” works well with the GM Active Fuel Management System (AFM). This model perfects engine efficiency in the V4 mode for both regular and premium octane. Then there is the sweet spot 0-60 Throttle Restriction and the RPM “Rev” Limiter feature. You can adjust the “on/off” temperatures of the electric cooling fans and Read & Clear Diagnostic Trouble Codes(DTCs). To top it all off, you get that emergency Return To Stock Or Change Option Settings. Yup, its here, its got it all, and if you are into upgrading and improving on performance, this little device will turn you monster Denali 6.2 into a beast of a vehicle. This is the SCT X4 Performance Programmer, and SCT is a name that is well known and respected in all upgrade circuits. The X4 Power Flash comes with pre-Loaded tunes that will increase your HP, torque and overall efficiency, claimed and proven many times over. You get to correct the vehicle speedometer for axle ratio upgrades, and there is a Charge Motion Control Valve (CMCV) disable feature included. You can toggle the Displacement On Demand (DOD) functions, as well as enable you to support Kooks High Flow Y Pipes. The model comes with a full fan control feature, and also gives you an adjustor for front-mounted intercoolers. You get to set your fuel injectors, as well as play around with the addition or removal of timing across all RPM ranges. Then there is the ability to adjust the grill shutter, as well as adjust for long tube headers. The idle adjust will keep your voltage in place, and the device caters to an aftermarket intake aritox check engine light issue. You can use this model to create a Jake Brake, and you also get a lock in 1-2-3 mode, as well as locked at CT function that keeps the torque converter locked during deceleration. There is a Mass Air Meter (MAF) and a Multiple Displacement System (MDS). A full Rev Limiter feature provides excellent RPM settings, and together with the RPM-based spark you end up getting perfect timing performance ratios, and you top this off with the top speed limiter. There is an Enable and Disable Sound Symposer feature, as well as an aftermarket supercharger adjustment for pulley sizes. I can go on; there is so much more, this is after all one of the leading and most popular brands on the market. 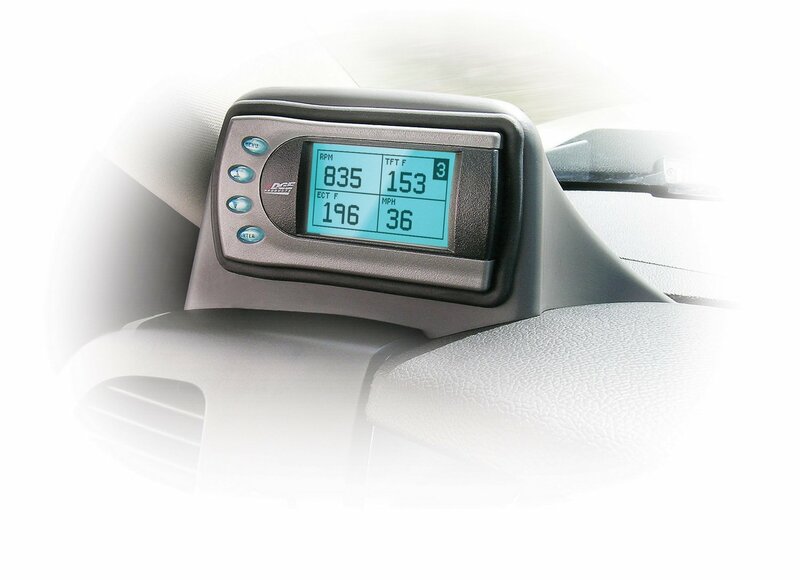 View & record your vehicle’s PCM data on the device or on a PC. The SCT X-4 is a frightening module, in the right hands it will turn any Denali into the Hulk, in the hands of an amateur, it will turn the Denali into a steaming hulk of twisted metal. 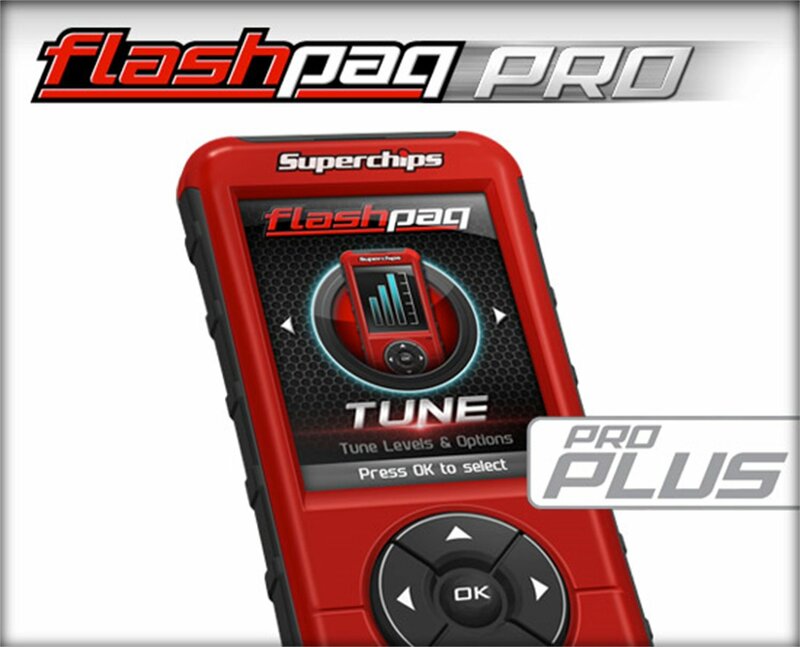 The Superchips®Flashpaq F5 PRO Custom Tuning Vessel (5845) is another one of those near perfect preference modules that turns your truck into a screaming beast breathing fire. This is a Race Only product, so this means you only use it for turning your Denali into a racing vehicle. 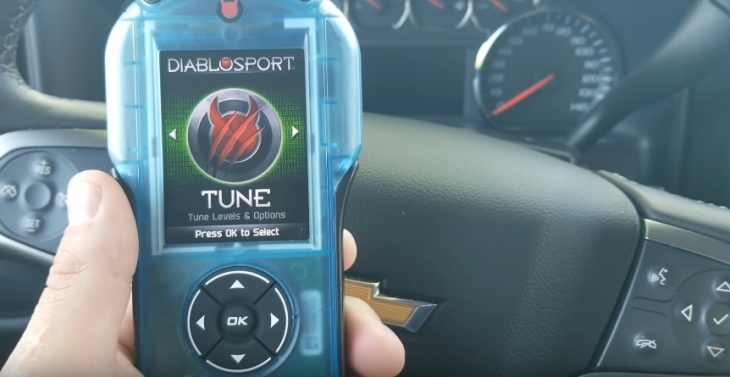 This model is a basic model focused on one job, tuning your Denali to race, and it comes with 4 custom tunes that are present for the performance. You don’t really need to play around with them, but since we all know you love to play around with settings, this model comes with 4 custom setting options, so you can have some fun too. This version gives you the ability to data log 8 PIDS at once, and store all into your system’s memory. You also get to read and clear all DTC’s. This is a classic performance model that comes with a neat 2.8” screen and simple navigation buttons. It’s a beginner model too, which means its easy for use in the hands of an amateur. However, when using this as an amateur, start out with the preset tunes, don’t configure until you have understood the basic principles of your Denali engines performance functions. This is a nice little model, very neat and easy to use and understandable. It’s good to start learning the basics of performance upgrading. This device is a stock recovery performance programmer that enables you to back up the stock performance values and then recover them at a press of the button. The device comes with a number of options to choose from, and these include the Transmission Only Program, which is the most basic of settings. This program does not work on Denali 6.2 models. The Economy Program (87+ octane fuel) setting is designed to enhance transmission shifting as well as provide economic gains in performance. Don’t use this mode for towing, towing will lead to detonations. Then there is the Tow Performance Program (91+ octane fuel), this gives you improved transmission shifting and also modifies the ignition timing and fuel injection strategies that improve the overall performance of your vehicle. The Extreme Program (91+ octane fuel) is the highest level of performance and is used for enhancing the fuel injection and ignition timing strategies. The Evolution lets you view 4 PIDs (Parameter ID) in one screenshot, and you scroll through each individual PID. Beyond the presets is a 0-60 and Quarter Mile time adjustor that lets you challenge the stock version with new settings. This model performs deep diagnostics and shows you all the DTC’s and turns of the engine light. You also get an alert program that you can set to alert you to specific issues when they arise. Edge Products is another popular and well-liked device, found in the cabs of many vehicle owners and delivers extreme punching performance upgrades. If you like crisp preset tunes and don’t want to play around too much with settings, then this is the device you seek. 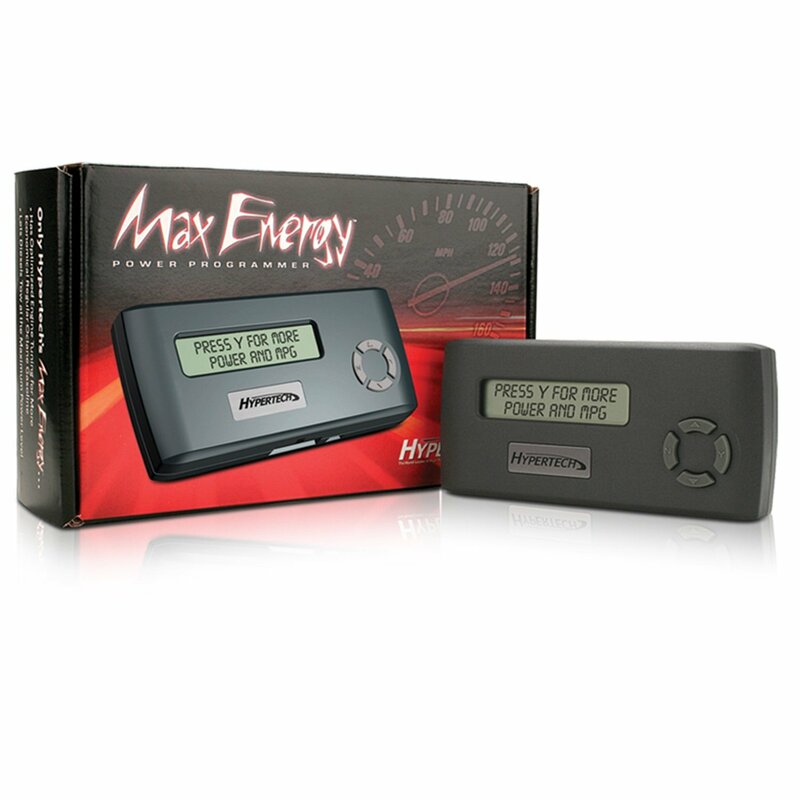 This is the Hypertech Max Energy 2.0 Power Programmer. This model is designed for towing tuning and delivers the best results in the market. It is also designed for air intake upgrades and is emission certified legal in 50 States. When it comes to towing performance, nothing outdoes the Max Energy 2.0. This device comes with all the features and functions of a classic programmer, including the Speedometer Calibrator for aftermarket wheel and tire changes, that enables you to re-program for correct speedometer and odometer readings, as well as correct part-throttle shifting. The TPMS Threshold feature is a perfect addition for tire change calibration function. There is a Top-Speed Limiter that gives you more speed for competition racing, and the Automatic Transmission Adjustments lets you make Shift Firmness Tunes and Shift Response changes so you can perform towing in extreme conditions. There are torque converter clutch (TCC) tunes which let you adjust the TCC algorithms, and you can change the shift points in 100 RPM increments for maximum performance. This model gives you the Fuel Management Systems “V4/V8 mode” which works in sync with the GM Active Fuel Management System (AFM). There are multiple Throttle Adjustments, including 0-60 Throttle Restriction settings, and preset Throttle Response Tunes for you to choose from. This is empowered by the RPM “Rev” Limiter function, and the Max Energy 2.0 lets you adjust the “on/off” temperatures of your vehicle’s electric cooling fans to improve thermal exchange performance. This model comes with the standard Read & Clear Diagnostic Trouble Codes(DTCs), and the one button press Return To Stock Or Change Option Setting. You can update the software over the internet using the USB cable. This is the Hypertech towing model, which means it will adjust performance for towing better than for performance racing. 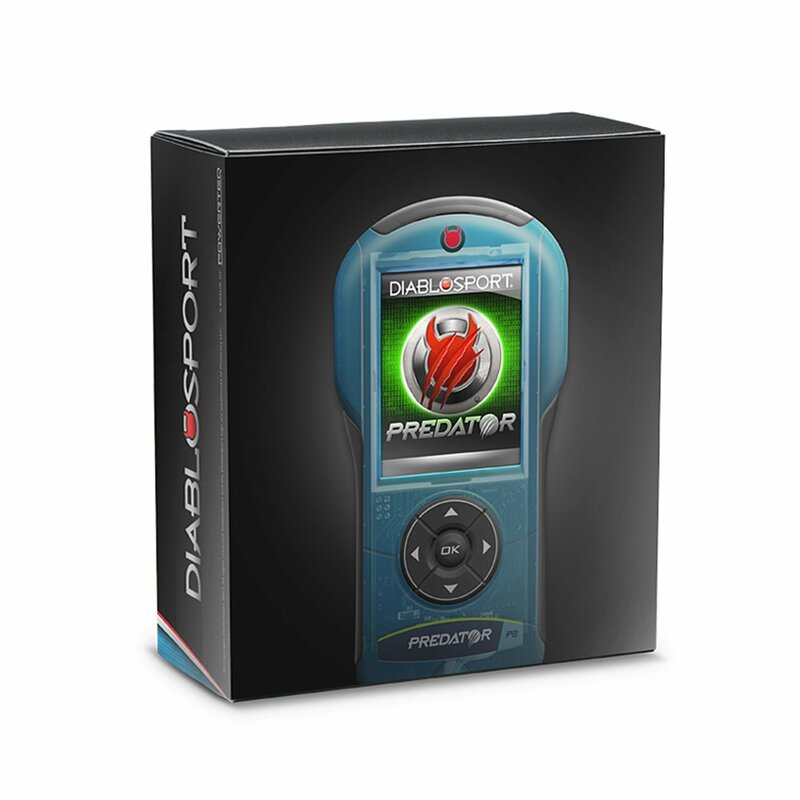 The DiabloSport Predator 2 (P2), Performance Programmer, is the ultimate performance upgrade programmer for Denali 6.2 applications. When it comes to bespoke Duramax/Denali performance, you want this model in your hands. The Predator tuner comes in a number of models, and this one is the GM version. This means that it is preset for 6.2 Denali motor improvements, and as such is a perfect PnP device in the hands of amateurs as well as professionals. So what do you get with this professional and beginner device? You get the ability to upgrade your engine by 100HP and an additional 200 TQ. You get boosted towing performance with full tire size calibration features. There are a Speed/Rev Limiter Adjustment mode and an increased fuel economy tune. This model obviously gives you the full run of DTC checking and clearing. This is a beginner model and is perfect for anyone that just wants a quick push of the button improvement tune without all the hassle of learning how to tune like a pro. Cold Air Intakes for 5.9 Cummins – Buyer’s Guide!